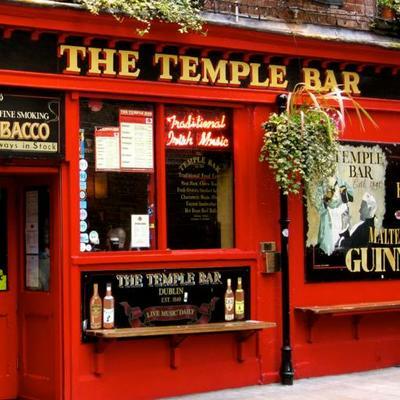 Temple Bar is a delightful new Irish/English bar opened in Oakville near Ford Drive (cnr Winston Churchill and Sheridan Gardens). A great atmosphere in a smallish family type pub with loads of great imported beer as well as the Canadian favourites. 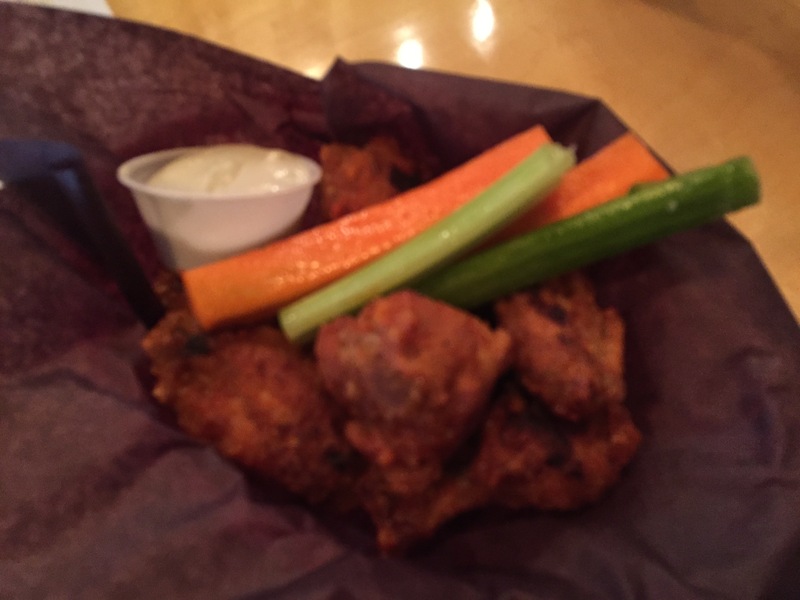 Delicious wings – perfect heat (spice wise) and nice and dry although the chicken wasn’t perfect – 9 out of 10 for the raw ingredients – nice size wings but I suspect they were made from frozen chicken. Preparation was excellent. Just the right amount of heat made up for the wings being slightly over done. The bar is really nice – great atmosphere and perfect for a nice long lunch. I was fortunate to be there with my mate Mark who is friends with Nigel the owner – look forward to meeting him on my next visit. 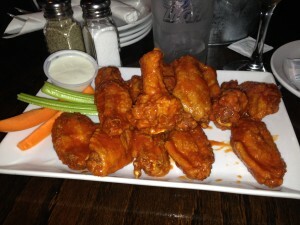 Located quite a way from the centre of Oakville is the House of Wings (3rd Li ne and Dundas). 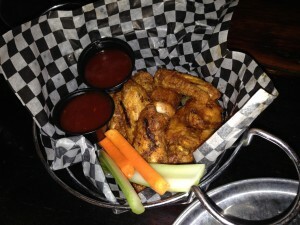 With statements such as “The House of Wings specializes in the most authentic chicken wings and more in Oakville, Ontario.” hopes were high for a special meal. Their website makes the following statement about the wings: “Our wings are fresh, never frozen and cooked in 100% canola oil, not breaded and contain zero trans fat, AND ARE GLUTEN FREE, KOSHER AND HALAL!”. Sounding good!! 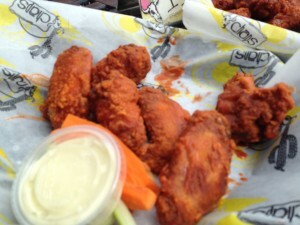 level below the “Hottest Wings in Town” level of heat. As is so often the case our idea of hot seems to be somewhat more ferocious than the menu. Next time we will definitely try one of their hotter varieties. 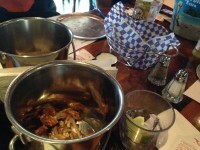 Wings were a nice size, tasty and well cooked. The wet wings seemed over sauced and we agreed that the way to go would be dry wings with a sauce on the side. We tried Thai chilli on the side with the dry wings and it was a nice combination – I th ink this would be my way forward, but we would need to try all the sauces including their hotter ones. 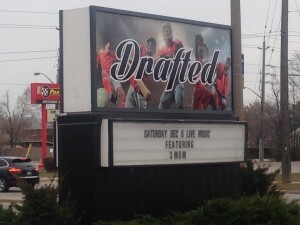 Location wasn’t great but it was a nice bar inside and the staff were very friendly. 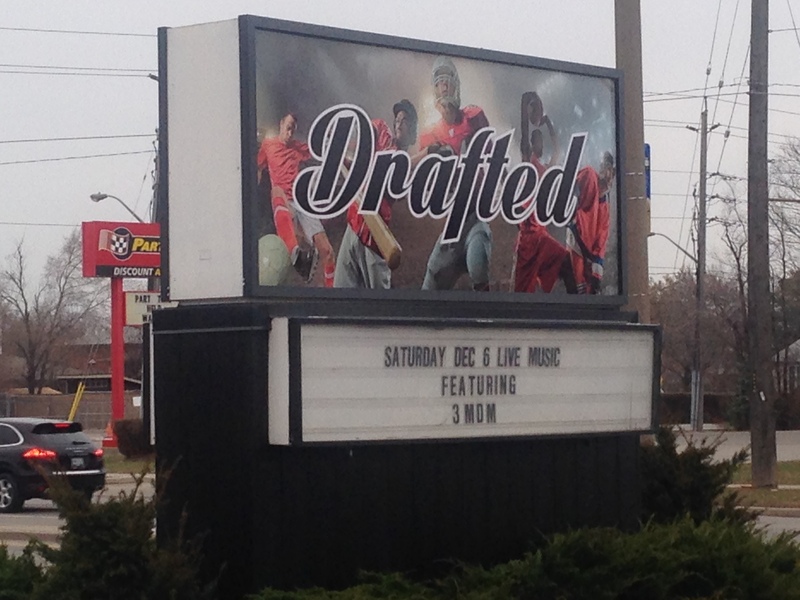 Recommended if you are in this neighbourhood but I’m not sure I would drive too far for this. 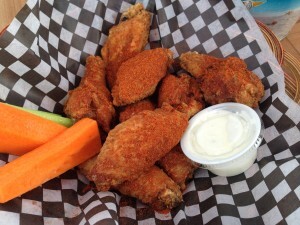 A bar which has a special place in our “wings bars in Toronto” list – primarily because it is here that we really honed our appetite for wings – is Drums ‘n Flats. We must have spent a fortune on wings here over the past 2 years, but went off it towards last summer when the quality of the wings deteriorated. 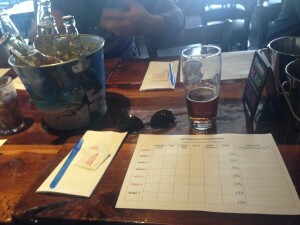 I raised the issue with Dan (owner) and he then put in place a tasting session to choose the wings direction which he invited me to. It was a very interesting session. The wings varied considerably, but consensus amongst the participants was strong and a few favourites emerged. We then went back a few times after the tasting only to find the same too-large, tasteless wings were being served, and disillusioned we stopped frequenting Drums ‘n Flats. The other night we happened to be in the neighbourhood and thought we would give our old favourite another try. It was the night of the Mayweather Pacqao fight and they were gearing up for a big night. We ordered some flats (a great feature of Drums ‘n Flats is that you can choose either the drums or the flats or mixed) suicide hot with a tequila-lime sauce on the side. The wings did not disappoint! 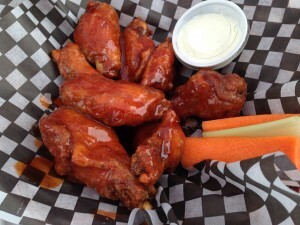 Small, perfectly cooked, tasty and with the great mix of sauces that Drums ‘n Flats always did so well I have to say that they rated as top of the list for wings that I have had in the past 6 months! Absolutely superb. I could not recommend them more highly. Visit Drums ‘n Flats on Avenue road north of Lawrence for a great evening and tremendous wings. Our recommendation – flats, suicide hot with tequila lime sauce on the side. Also try the double dipped wings – delicious! 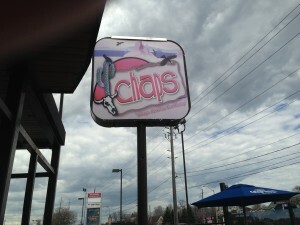 For an altogether best avoided wings occasion you could try Chaps in Burlington. 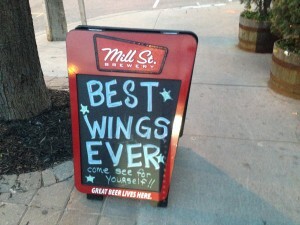 Mislead by google’s touting of it as the “award winning” wing plac e in Burlington Tricia and I tried it yesterday. 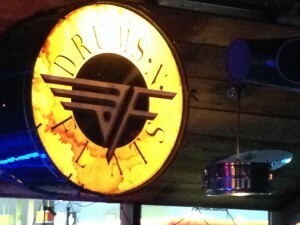 ld be severely disappointed with this place. We decided at the restaurant that it would be a push to go 2.5 out of 5 for this – in retrospect (after feeling unhealthy all afternoon) we downgraded that to 1! And that’s pushing it! We are fanatical about wings. Thats all! Take a wander through our reviews, add your own reviews and comments. Which Wings will grow with our audience – be a part of the experience. And, whatever happens, enjoy the wings!